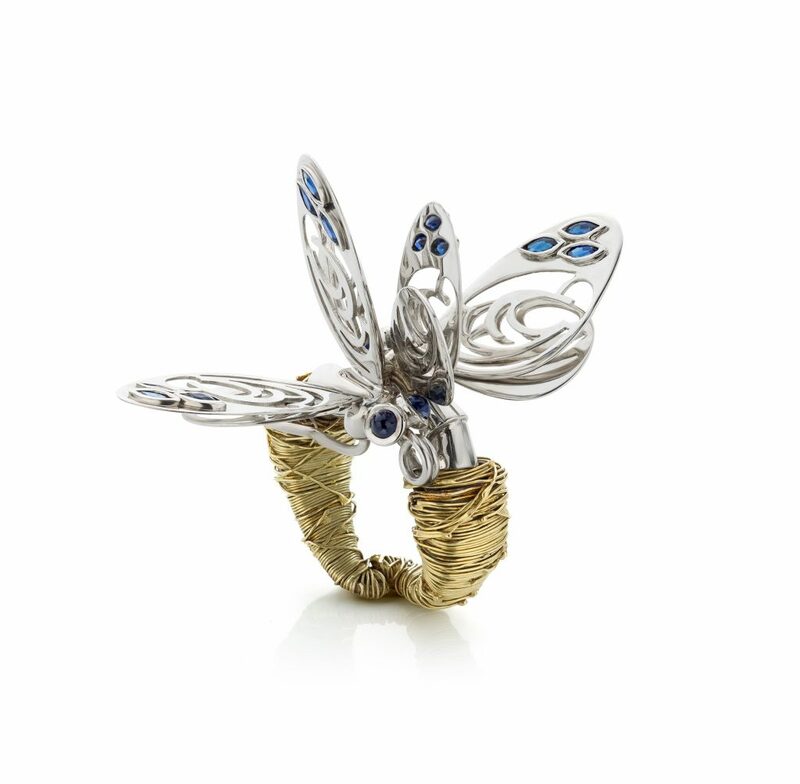 The birth of two butterflies executed in 14 carat white and yellow gold with sapphire. With this jewel Joost won the 2nd prize in a national design competition. 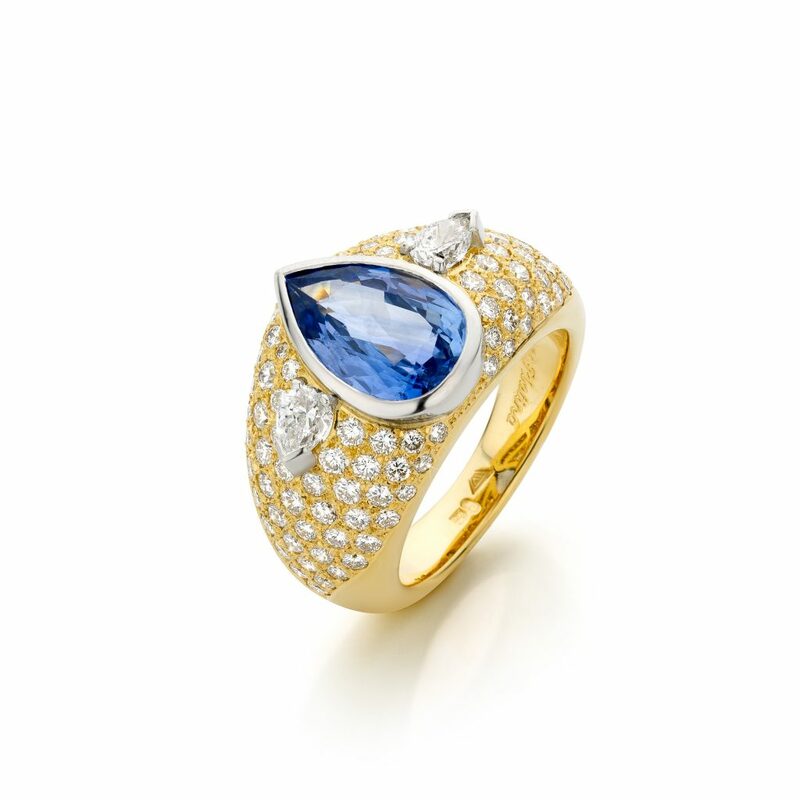 A unique blue sapphire (untreated natural colour) set in a 18 carat yellow gold and platinum ring with brilliant and 2 pear shape diamonds. 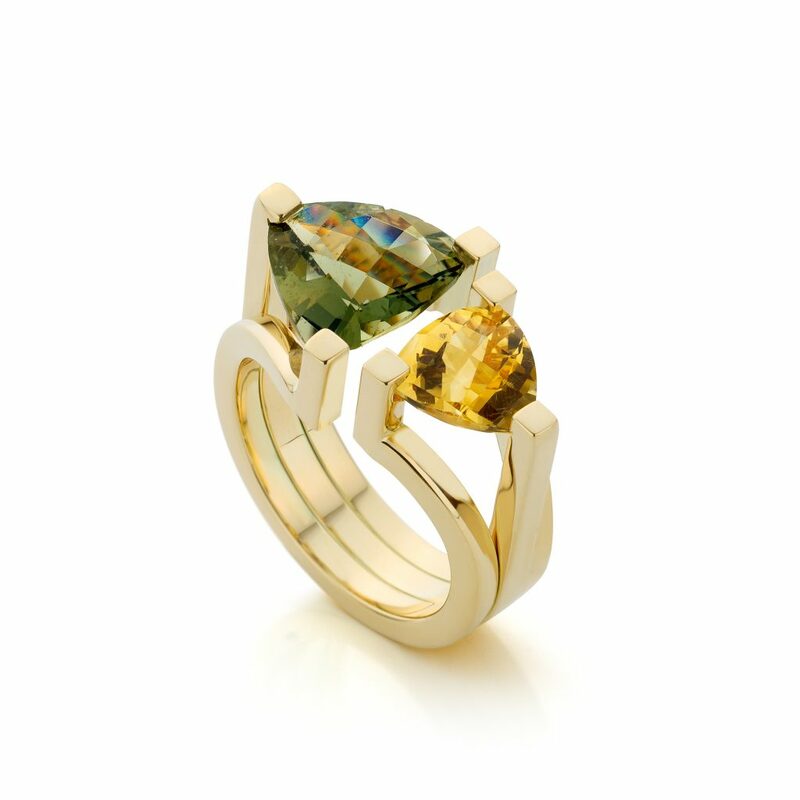 14 carat yellow gold ring with kornerupine and citrine. 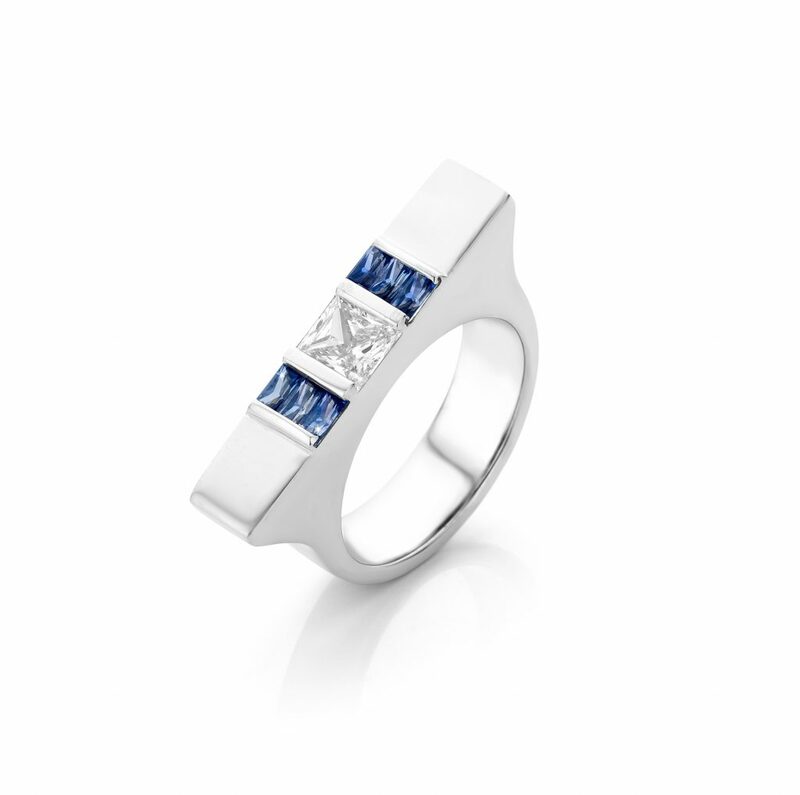 A rectangular ring with princess cut diamond and baguette cut sapphires, executed in 14 carat white gold. 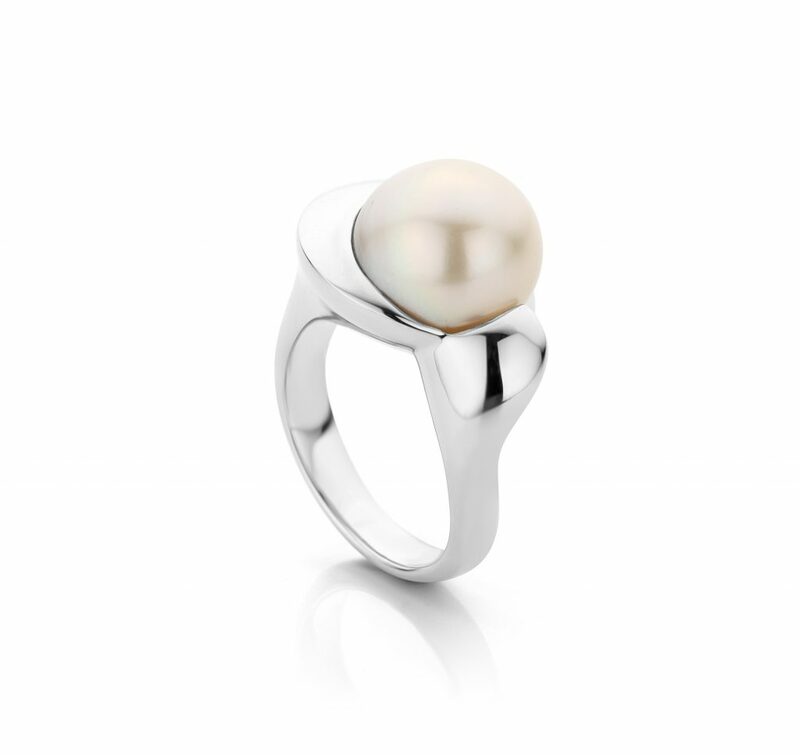 The cultured saltwater pearl is embraced with 14 carat white gold. 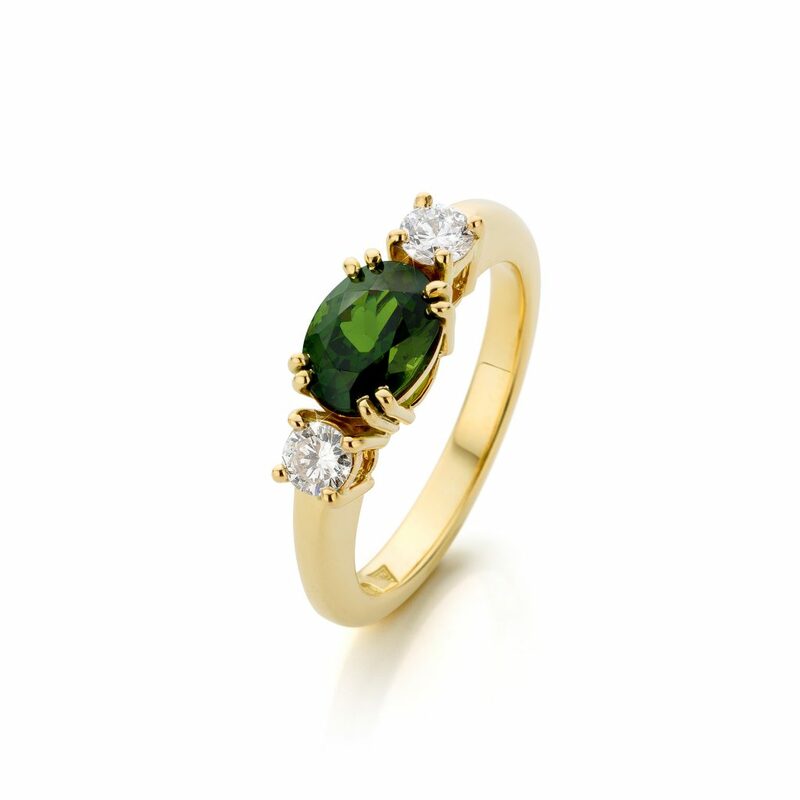 With double claw mounted green zircon, and 2 brilliant cut diamonds that together form a beautiful classic ring. 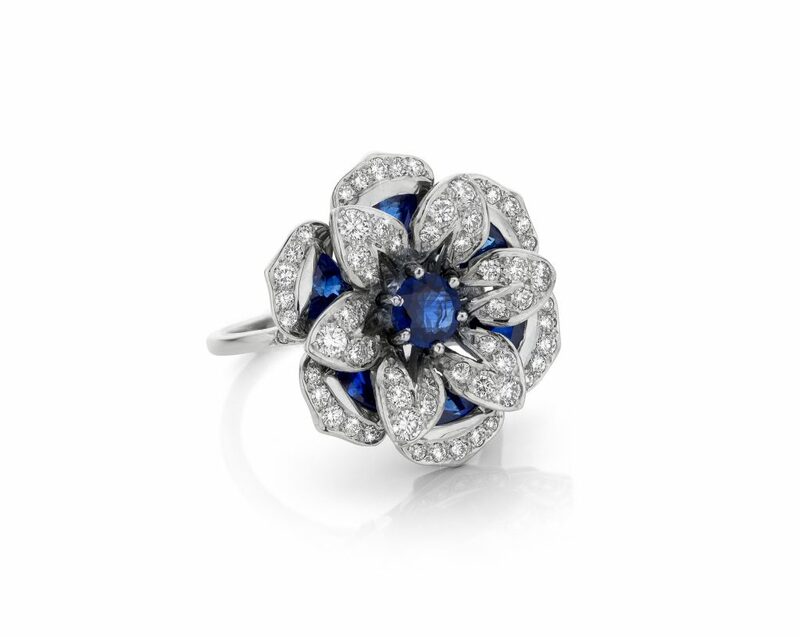 This lotus with 6 leaves in 14 carat white gold with billiant and trilliant cut sapphires, has a special depth because it consists of 2 layers and you can see through it into the core of the flower. Click here for the ring with necklace set.